Description of decorations: Vitasand sand, adist aquascaping cosmetic sand , pebbles, fine sand, branch fragments, roots, leaves, rocks, shrubs. Description of the area surrounding the biotope: Lake in Nicaragua; Its surface area is 8,029 km2, its length is 164 km, its width is 72 km, its deepest point is 70 meters, its height from sea level is 32 km. The region between Central America and the USA and Peru is the largest freshwater lake. The lake, separated from the Pacific Ocean by the Rivas Cascade, empties its excess water into the Tipatapa River with a small foot on its northwest end. The San Juan River that flows from the South to the Caribbean Sea forms the eastern part of the Nicaragua-Costa Rica border. Hundreds of islands, which are sprinkled with sunlight and create an interesting landscape, make the lake attractive for tourism. Ometepe, which has two volcanoes on it, is the largest of the islands. In addition to a variety of freshwater fish, Shark lives in sharks, tarpon (a large hunting fish that lives in the Gulf of Mexico). The great lakes of Nicaragua–Lago de Managua (Lago Xolotlan) and Lago de Nicaragua (Lago Cocibolca)–dominate the Rio San Juan drainage region. These lakes cover almost 10 percent of the surface area of Nicaragua. Other important lakes in this drainage region include Laguna de Apoyeque, Laguna de Apoyo, Laguna de Asososca, Laguna de Jiloa, and Laguna de Masaya. Description of the underwater landscape of the biotope: The lakes shore on Nicaragua’s Pacific coast ( in left corner is like the edge of the lake ) The bottom has whitish sand and some gravel ,along the edge rocks.Driftwood is found in this habitat.There are some swamp plants like Echinodoros spp, which grows out of the water and can be found along the lake or river bank,also Mayaca fluviatilis and some floating plants ( e.g. 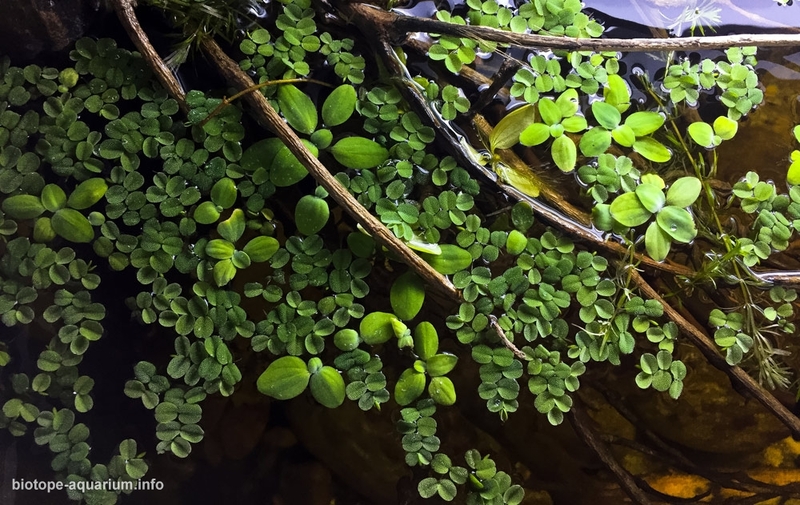 najas guadalupensis,Pistia stratiodes ,Salvinia auriculata)submerse only Vallisneria americana. Description of the parameters of the habitat: Measurements taken at different points of Lake Nicaragua have shown that the water temperature has changed between 24-30 ° C and pH 7-9. The pH is quite high especially due to high photosynthesis on the surface and close to the beach. As thedepths and inclusions progress, it goes down to level 7.5. Hardness is moderate. An aquarium at around pH 7.5 and at 27 ° C will be established. List of fishes: Lake Nicaragua does not just host Cichlids. At the same time is a living paradise. 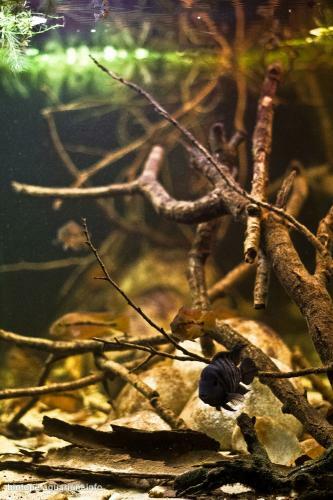 Many species from the poecilia family, the sword tail which is very common in our country and the most famous member of the moli, are the most common live births on Lake Nicaragua. Gambia, which has been invaded by local ecosystems of many countries including Turkey, also lives in large groups on shallow shores of this lake. Freshwater crayfish from ghost shrimp and cambarellus family are the most typical invertebrates of this lake. Rhamdia catfish and crocodile fish are the predominant hunters of the lake. 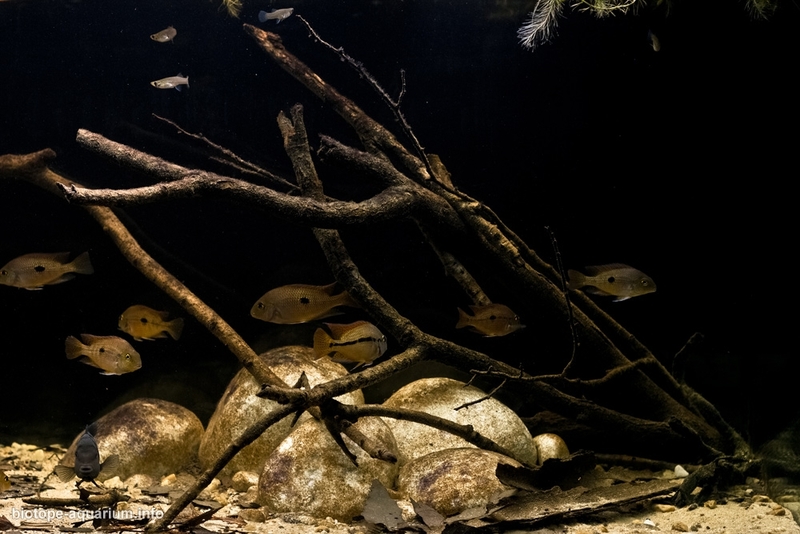 The cichlids found in the aquarium hobis are rainbow, zebra, midas, macav, dovii, jaguar, black belt. 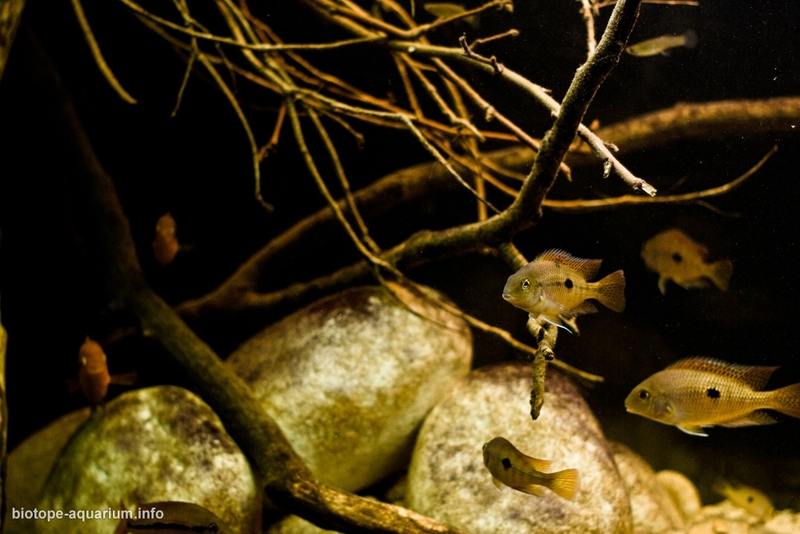 Amphilophus is the only endemic living amphilophus labiatus (red devil), although it hosts a vast cichlid community such as amatitlania, archocentrus, cryptoheros, excichlasoma, parachromis, vieja and paratheraps families. Hypsophrys nicaraguensis, Archocentrus multispinosa, Gambusia affinis, Amatitlania nigrofasciata, Achirus mazatlanus, Acromycter atlanticus, Gonostomus monticola, Alfaro cultratus, Alfaro huberi, Amatitlania nigrofasciata, Amatitlania septemfasciata, Amatitlania siquia, Amphilophus amarillo, Amphilophus astorquii, Amphilophus chancho, Amphilophus citrinellus, Amphilophus flaveolus, Amphilophus globosus, Amphilophus labiatus, Amphilophus sagittae, Amphilophus supercilius, Amphilophus tolteca, Amphilophus viridis, Amphilophus xiloaensis, Amphilophus zaliosus, Anableps dowei, Anchoa curta, Anchoa parva, Anguilla rostrata, Archocentrus centrarchus, Ariopsis assimilis,Ariopsis seemanni, Astyanax aeneus, Astyanax cocibolca, Astyanax nasutus, Astyanax nicaraguensis, Atherinella argentea, Atherinella hubbsi, Atherinella jiloaensis, Atherinella sardina, Atractosteus tropicus, Awaous banana, Belonesox belizanus, Brachyrhaphis holdridgei, Bramocharax bransfordii, Brycon costaricensis, Brycon guatemalensis, Carcharhinus leucas, Carlana eigenmanni, Cathorops fuerthii, Cathorops steindachneri, Centropomus ensiferus, Centropomus nigrescens, Centropomus parallelus, Centropomus pectinatus, Citharichthys gilberti, Cribroheros alfari, Cribroheros longimanus, Cribroheros rostratus, Cryptoheros spilurus, Ctenogobius claytonii, Cynodonichthys isthmensis, Cyprinus carpio, Dormitator latifrons, Dorosoma chavesi, Eleotris picta, Eleotris pisonis, Erotelis smaragdus, Eucinostomus argenteus, Eucinostomus currani, Eucinostomus gracilis, Eugerres plumieri, Gambusia nicaraguensis, Gerres cinereus, Gobioides peruanus, Gobiomorus dormitor, Gobiomorus maculatus, Hemieleotris latifasciata, Herotilapia multispinosa, Hypsophrys nematopus, Hypsophrys nicaraguensis, Joturus pichardi, Kuhlia mugil, Lile stolifera, Mayaheros urophthalmus, Microphis lineatus, Mugil cephalus, Mugil curema, Oligoplites palometa, Oncorhynchus tshawytscha, Oreochromis aureus, Oreochromis mossambicus, Oreochromis niloticus, Oxyzygonectes dovii, Parachromis dovii, Parachromis friedrichsthalii, Parachromis loisellei, Parachromis managuensis, Phallichthys amates, Phallichthys tico, Poecilia mexicana, Pomadasys bayanus, Pomadasys crocro, Priapichthys panamensis, Pseudophallus mindii, Pseudophallus starksii, Rhamdia guatemalensis, Rhamdia laticauda, Rhamdia nicaraguensis, Rhamdia quelen, Roeboides bouchellei, Sicydium salvini, Strongylura exilis, Strongylura marina, Synbranchus marmoratus, Tomocichla tuba, Vieja maculicauda, Xenophallus umbratilis. 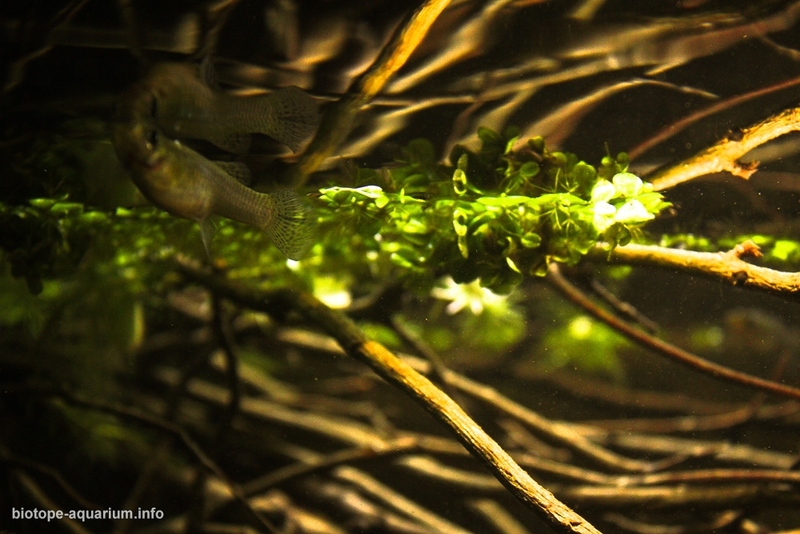 List of plants: Echinodorosus sp (grandiflorus), Mayaca fluviatilis Pistia stratiodes, Salvinia auricalata, Najas guadalupensis, Vallisneria americana, lemna minör. Threats to the ecology: Despite the enormous ecosystem in and around the lake, despite being an important potential source for potable water and despite its large attraction for ecological and sustainable tourism Lake Nicaragua does face problems of contamination that could become much worse in the middle-long term (and some in the short term as well) if necessary steps to prevent so are not taken. Even though this situation has been publicly acknowledged by institutions, organizations, experts, and citizens there is not yet a national plan that addresses conservation of this beautiful lake. The main problem and source of contamination for Lake Nicaragua are related to the discharge of wastewater that comes from the urban zones at the shores of thelake. In spite of the clear contamination that results from this practice, large cities as Granada, Rivas and Juigalpa and many small towns still lead their sewage fromresidential areas but even from industrial zones to the lake (either directly or through a river that terminates in the lake). Consequently, coastal areas close to these urban centers have to deal with the waste that is not biodegradable which surfaces in front of the settlements. The second largest problem comes from the agricultural industry in the coastal areas. The fertile soil next to the lake provides a great site for cattle farming and plantations. In the departments of Chontales, Boaco and Rivas there are many places where people farm without protecting the lake whatsoever, leading to contamination with enormous quantities of fertilizers ending up in the water. Another even more important impact is caused by the nearby agricultural haciendas that contaminate the rivers flowing into the lake by the unprotected usage of chemicals at their plantations. This problem is mostly visible at the southern side of the lake on Nicaraguan territory but also on Costa Rican soil (as these rivers also terminate in Lake Nicaragua). At this moment the UNESCO has already received a petition from the Nicaraguan government to declare Lake Nicaragua World Heritage. The authorities and thehundreds of communities set around the lake have expressed their enthusiasm and hopefully the UNESCO will grant the request. But in order to protect the lake thenational and local government, as well as every Nicaraguan citizen and foreigner that wants to enjoy this lake, should become involved and act in order to preserve this natural treasure!